Damage to the lining is common as a part of sports injuries and aging. It happens commonly along with Meniscal and Ligament injuries. Very often it does not cause trouble till much later and this can be even 1 or 2 years. 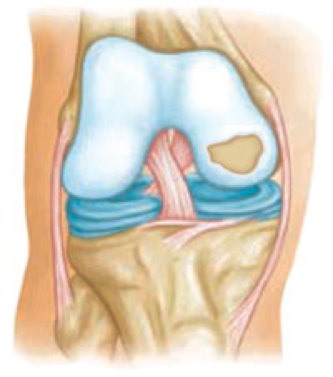 Damage is seen on MRI scans and Arthroscopy(keyhole surgery) . Various techniques e.g. Microfracture, OATs, ACI are used to help restore damaged lining. With serious damage it can lead to Osteoarthritis of the Knee.